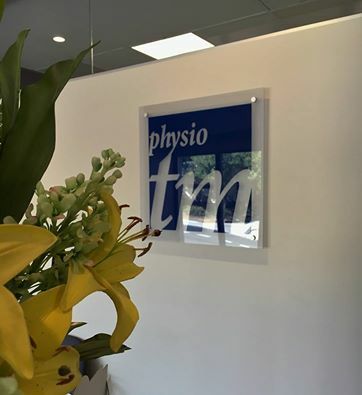 tm physio has been established in the Canberra community since 1982. The practice was conducted in Chewings Street, Scullin for the first 12 months. During this time a service was provided for the local community. Services were provided for the early years of the Australian Institute of Sport. Tim Maher travelled with the track and field team from the Institute. In 1983 we moved to the Latham Shopping Centre. The practice expanded over 16 years at this location. The Latham practice was relocated to the Kippax Shopping Centre in 1998. In 1993, we opened a new location in the John James Medical Centre, Deakin. The Deakin Physiotherapy practice quickly expanded into the Peter Yorke Building at Calvary John James Hospital in 2005. We presently conduct services at both Kippax, Deakin and at the University of Canberra. We have close relationships with a number of orthopaedic surgeons, dentists and specialist dentists in Canberra. We have links with the Canberra Knee Clinic and Orthopaedics ACT. Aquatic physiotherapy is conducted by our staff at the Calvary John James Hospital pool at Deakin and the Club MMM pool in Belconnen. We have performed lectures and presentations on the benefits of physiotherapy and exercise in various Government departments, dental practices, dance schools, football clubs and the ACT Arthritis Foundation. We are proud to offer services at the Faculty of Health Clinic at the University of Canberra. Our practice is a clinical setting for students in the physiotherapy programme at the University of Canberra. Two of our staff members are involved with teaching at the University in the Degree and Master programme.